TORONTO (2015) – Calling all Little Chefs: now is your chance to get creative with small potatoes and share your cooking skills on the THE MARILYN DENIS SHOW! CTV’s THE MARILYN DENIS SHOW and MASTERCHEF CANADA’s Michael Bonacini have partnered with The Little Potato Company to create The Little Chef Casting Call. Launching Monday, Sept. 21, it’s a delectable opportunity for young cooks from across the country to have a chance to appear on CTV as well as win the culinary trip of a lifetime for their family to Paris, France. The culinary contest is open to all Canadian children aged 8-13. To enter the casting call, families must visit Marilyn.ca before Oct.18 and submit a video of their little chef cooking an original recipe that includes small potatoes. Two finalists will go head-to-head on THE MARILYN DENIS SHOW to compete for the grand prize of a family adventure for three people in Paris, courtesy of The Little Potato Company, which includes airfare, accommodation, two-day park passes to an entertainment resort, and an ultimate culinary experience. Videos featuring kids cooking original recipes with small potatoes will be accepted for four weeks following the Sept. 21 launch date, until Oct. 18. After the initial call for entries, 10 finalists will be selected by a judging panel and Canadians will be able to vote for their favourite Little Chef at Marilyn.ca. Following the voting period, the judging panel will select the two finalists who will travel to Toronto with their families to appear in an episode of THE MARILYN DENIS SHOW to compete in a cook-off for a chance to win the grand prize. Details about Top 10 and voting will be provided in early November. Viewers can visit Marilyn.ca for full rules and regulations. 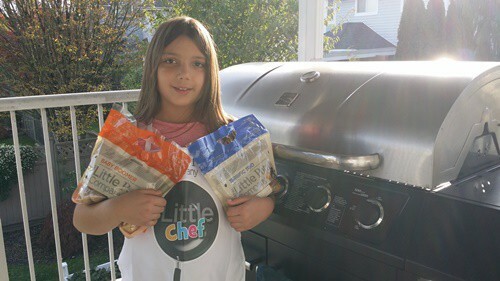 The contest will be promoted and featured at major retailers across Canada and supported at store level with “Little Chef Program” support material and promotional programs. The Little Chef Program provides tools and tips to help parents cook with their kids. The Program includes Little Chef Approved recipes, age-appropriate tasks for kids 5 to 7, 8 to 10 and 11 to 13 years old, and information about the important skills they’ll learn as their kitchen skills evolve. The Little Chef Approved recipes are popular not only with kids, but with adults, too. Recipes include Smashed Potato Pizza and Bacon Wrapped Creamer Potatoes, Little Chef Potato Skins and more. 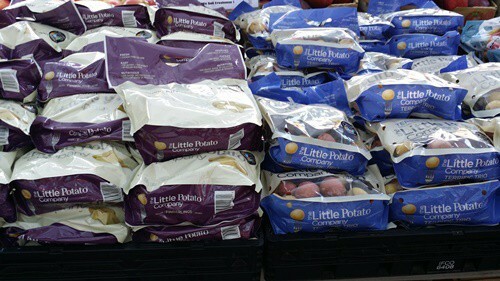 The Little Potato Company specializes in little Creamer potatoes which are grown to be naturally buttery tasting, loaded with nutrition, easy to prepare and offer diverse, colourful and fun varieties. Several unique varieties are available in produce sections across Canada and the U.S., and have been delighting food lovers for almost 20 years. These little Creamers are sold pre-washed and cook in about 15 minutes. They’re also available in convenient Oven|Grill and Microwave Ready packs combining Creamers, gluten-free seasoning mix and specialty trays for an even easier and also delicious experience. The Little Potato Company is passionate about potatoes and about helping children learn more about food and cooking through their “Little Chef Program” at www.LittlePotatoes.com/LittleChef. Hosted by Marilyn Denis and broadcast live before a studio audience, THE MARILYN DENIS SHOW is a daily lifestyle and entertainment talk show featuring Canadian and international celebrities and experts. Celebrities who have appeared on THE MARILYN DENIS SHOW include Sir Elton John, Shania Twain, Diane Keaton, Bradley Cooper, Hugh Jackman, Catherine O’Hara, Michael Bublé, Lionel Richie, Amy Poehler, and many more. Top lifestyle experts who have appeared on the show include Jamie Oliver, Dr. Oz, Rocco DiSpirito, Jillian Michaels, Randy Fenoli, Scott McGillivray, The Property Brothers, and more. THE MARILYN DENIS SHOW is produced by Bell Media Production, and Michelle Crespi is Executive Producer. Nanci MacLean is Vice-President, Bell Media Production. Mike Cosentino is Head, Programming, CTV Networks and CraveTV. Randy Lennox is President, Entertainment Production and Broadcasting, Bell Media. More information about THE MARILYN DENIS SHOW, including ticket information, can be found at Marilyn.ca, as well on Facebook and @TheMarilynShow. CTV is Canada’s #1 private broadcaster. Featuring a wide range of quality news, sports, information, and entertainment programming, CTV has been Canada’s most-watched television network for the past 14 years in a row. CTV is a division of Bell Media, Canada’s premier multimedia company with leading assets in television, radio, digital, and Out-of-Home. Bell Media is owned by BCE Inc. (TSX, NYSE: BCE), Canada’s largest communications company. More information about CTV can be found on the network’s website at CTV.ca. MomMomOnTheGo and her Little One love to cook together. Whether we are at the BBQ or in the kitchen, we have a ton of fun, and my Little Chef gets to learn great skills in the kitchen. We have come across The Little Potato Company products in almost every store we go to. They are the type of potatoes my family loves…tiny, clean and cook, tasty. Another very easy recipe is to take the potatoes and cut them in half. Put them on a cookie sheet, sprinkle them with garlic flavored oil, and bake them. Easy and delicious. 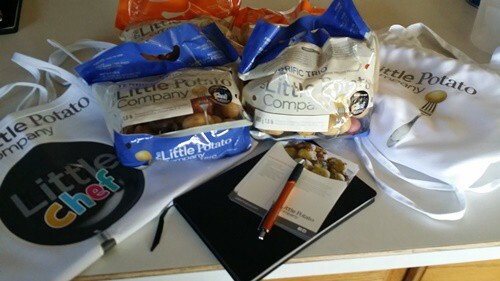 We have been cooking up a potato storm with our The Little Potato Company products as part of the celebration of the Little Chef Casting Call. I encourage you to get cooking with your Little Ones. What awesome recipe would you make with your Little One and The Little Potato Company potatoes? Disclosure: MomMomOnTheGo was provided product for the purpose of conducting this review.